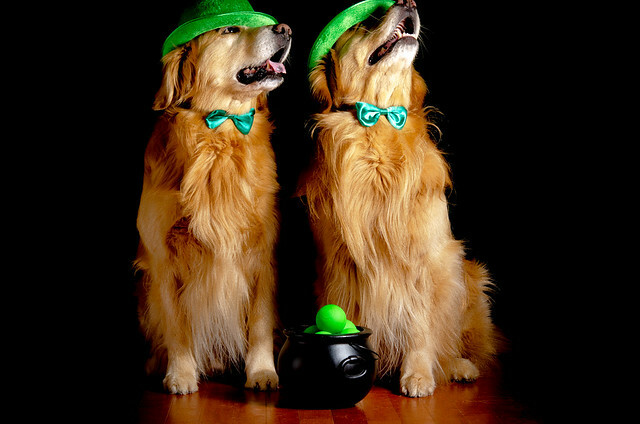 BZ Dogs: Happy St. Patrick's Day! 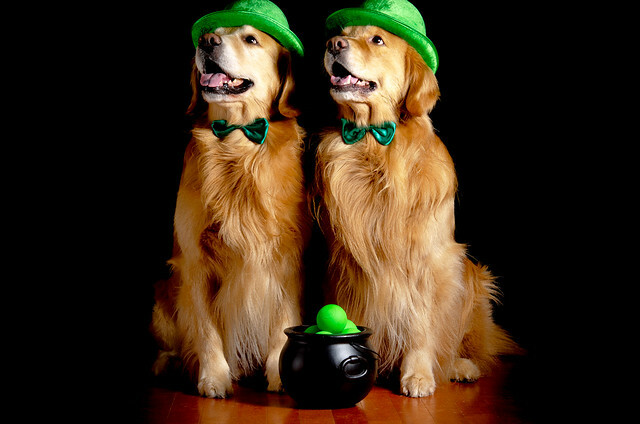 It's not often one finds a pot of... green Lacrosse Balls. 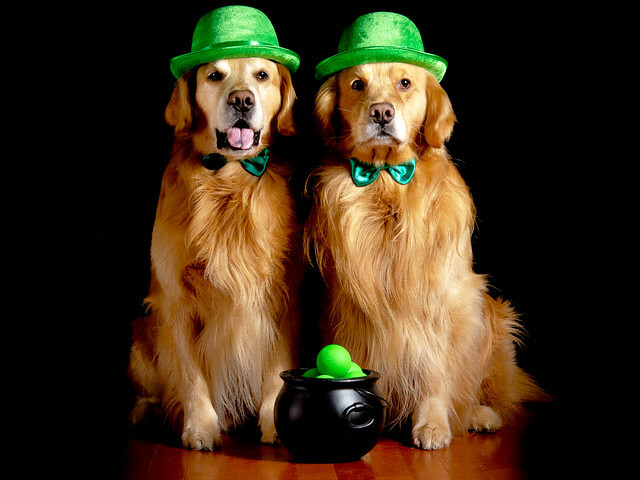 Zachary: "There was a Leprechaun and a Rainbow and..."
Well, looks like you lucked out. Not all treasure has to be gold. Our Daily Challenge - Mar 17, 2016 - "Green"
Yes, those really are green Lacrosse Balls. No, I have no idea what kind of twisted mind though that was a good idea. For those unfamiliar with the sport - it's played on grass or turf. Typically (at least around here) GREEN grass and/or GREEN tuff. Daily Dog Challenge 1599. 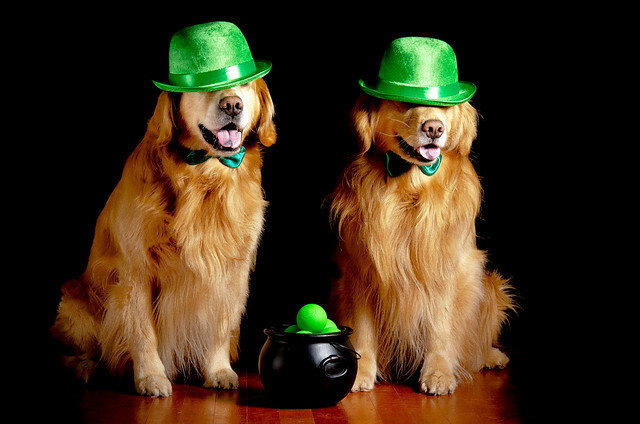 "Everyone's A Little Irish..."
... on St. Patrick's Day, even this pair of Scottish hunting dogs. "He he he... (snort) he he he!" The last photo is funny!